Is this ‘the greatest political ad evah’? The actor in the ad is a real local with an authentic accent. A quintessentially Boston ad, produced pro bono by the advertising agency MullenLowe Boston, employs a tough talker in a hoodie to advocate for transgender rights in Tuesday’s election. Drinking a pint and dropping his Rs, he appeals to Bostonians’ collective identity — as indifferent, rude, go-their-own-way “Massholes” — to encourage support for those with differing gender identities by voting Yes on Ballot Question 3. “We cut you off on the Pike and then we slow it right the [expletive] down. And the second that light turns green, I’m honkin,’ ” he goes on, in an accent unmatched in most Dennis Lehane movie adaptations. “Spoken like a true Masshole,” the bartender riffs. Rife with profanity and unsanctioned by the official campaign supporting the ballot question, the ad was launched by a “passionate group of employees,” including an LGBTQ staffer who asked if and how the agency could support the ballot question, president Kelly Fredrickson said. The online ad was never expected to be used on TV, she said, but is linked to a website with an unprintable name and additional salty logos for social media distribution. Freedom for All Massachusetts campaign spokesman Matthew Wilder said the video was not produced or coordinated with the campaign. Question 3 asks voters whether they approve of the state’s existing law on protecting transgender rights in places of public accommodation — restaurants, cafes, theaters, and of course, pubs. A “No” vote would repeal the 2016 state law that prevented discrimination in those places and allowed transgender people to use the bathroom of their gender identity. Gender identity is defined as someone’s sincerely held sense of self, not necessarily the gender assigned at birth. Opponents who petitioned to put the question on the ballot fear that with such a loose definition of gender, men could take advantage of the law to infiltrate ladies’ rooms, exposing women and children to danger. In the ad, the pub patron talks it up as another individual right, embraced by locals who know how to stand up for themselves even in the face of scorn (often from the rest of the nation’s sports fans). It went up online Thursday, the start of Transgender Awareness Month and the final stretch of the campaign. 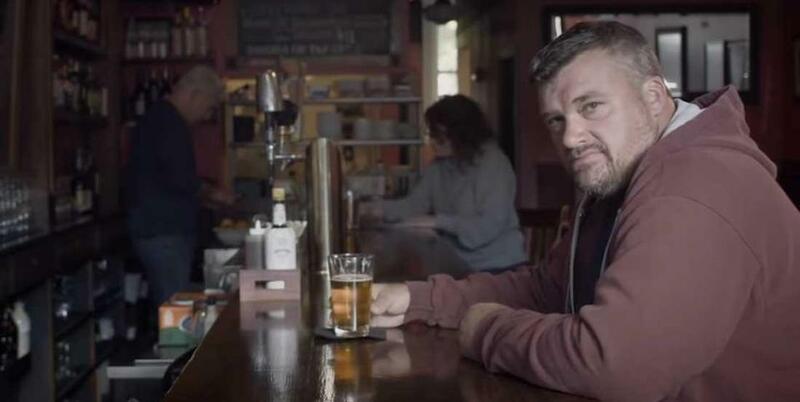 Fredrickson, raised on the South Shore and schooled at University of Massachusetts Amherst, said the bar patron who does the talking in the ad is a paid actor — and he’s local. ”Cause what’s worse than having somebody fake a Boston accent? she asked.